This weekend marked the fifty-eighth anniversary of the Munich Air Disaster, so what better time than to take a look at some of the work being done by human geographers into the social and cultural dimensions of air space and air transportation. February 6th 1958 was the darkest day in Manchester United F.C.’s history. Following their European Cup quarter final win in Belgrade, the ‘Busby Babes’ – so-called after their illustrious manager Matt Busby – were involved in one of the most documented plane crashes in history, in which twenty-three of the forty-four passengers were killed, including eight of the players, when their plane crashed after trying to take-off amidst a devastating snow storm in Munich. Memories of the victims are still today as poignant as ever, in an age when air transportation has been completely transformed, and has come to signify the complex networks of social, political, and economic relationships in our contemporary mobile world. ‘Aeromobilities’, as Adey (2008) calls it, started to become the subject of geographical enquiry in the twenty-first century, with geographers looking to trace the economic and political links that air transport creates between places. Adey’s (2008) paper provides a useful summary of some of the work within geography about air transportation, research which has drawn on the ‘mobile turn’, a shift towards investigating how spaces are travelled through. ‘Identity’ being a key theme in geography due to the influence of feminism, the airport and the airplane have themselves been unravelled as sites of identity creation and performance. Adey (2008) explains how both airports and airplanes have become important geographical sites for the formation and suppression of identities. For some, airports are sites of alienation and inequality, whilst for others they are happy, homely places, a stepping stone between important places in their lives. Nowhere better is this evidenced than the film ‘Terminal’, in which Tom Hanks plays an eastern immigrant whose country suffers from the collapse of its government whilst he is in the air, leaving his papers no longer valid when he lands in America. Forced to stay in the airport for weeks, he feels the brunt of the airport’s hostility and exclusive power, but starts to enjoy and embrace his time there, making many friends, as well as enemies. Today, Adey (2008) argues, borders are shifting even further, spatially and temporally, with your entry into a country being variously permitted or denied from a distance, before you have left your airport of departure. 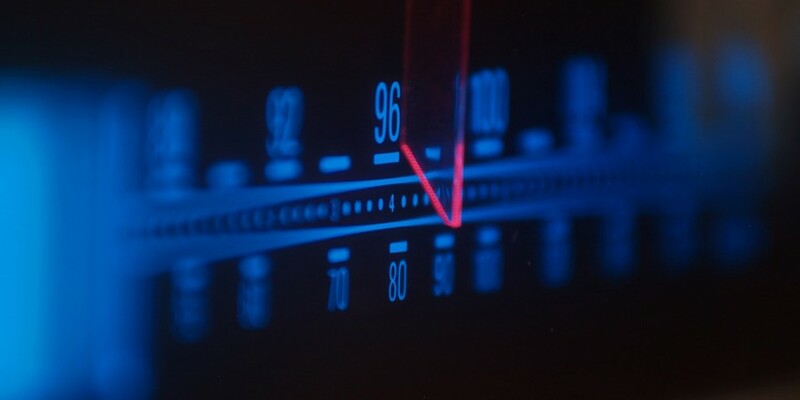 Thus, the ways in which we imagine our place in relation to the rest of the world have changed, air transportation building notions of national identity and citizenship, and variously connecting and disconnecting people and places. Modern spaces of air travel, as spaces for international border-crossing as well as state and terrorist violence, have triggered increasing regulation of societies. As Adey (2008) states, air-travel has become one of the most closely-monitored and highly-segregated spaces in modern society. Security screening in airports today has reached very intense levels, which redefine both bodies and belongings as ‘threats’. Full-body searches and X-ray machines mean that it is not only international boundaries that are crossed at airports, but also, as Adey (2008) claims, our personal boundaries. All this is part of a new culture of ‘anticipation’, in which our vision has become so accelerated that it has overtaken time (Adey, 2008). The threat of terrorism is, today, pre-empted, an imaginative geography of disaster created before it has even happened, evoking fear and panic. Air transportation has also had more fatal effects on societies, playing a major part in wars since the turn of the twentieth century. Aerial warfare has come a long way since the air raids of World War Two, with new unmanned aircraft causing terror and destruction to contemporary society. The aerial view – or as Adey (2008) calls it the ‘cosmic view’ – has, since the early days of landscape surveys and the invention of aerial photography, been associated with a powerful total gaze of the world, with limitless capacity for knowledge and control. This total observation is seen, for example, in Israeli-occupied Palestine, where Unmanned Aerial Vehicles (UAVs) are used for aerial surveillance of military and civilian targets (Adey, 2008). The performance of gender relations within the space of the plane has also, Adey (2008) claims, captured the imaginations of geographers; cockpit and cabin gender roles being fascinating examples of gender relations. A recent paper by Lin (2015) has explored this in relation to air hostesses on a Singapore airline. Feminisation and sexualisation of air hostesses’ bodies on planes has been long been practised by most airlines. In Lin’s (2015) example in Singapore, the design of air hostesses’ uniforms was evocative yet graceful and traditional, whilst interview candidates were carefully screened for flaws or disfigurement, their body shape, beauty, and complexion being important. Even successful candidates underwent various aesthetic ‘corrections’, such as speech therapy, and were prescribed precise shades of make-up to make them appear uniformly ‘beautiful’. Lin (2015) frames the cabin – a ‘mobile atmosphere’, as she calls it – as an important social space, in which geographers have explored the multi-sensorial interactions between passengers and their environment. The plane and its crew provide a ‘service’, passengers’ bodies forming active consumers during their flight. Air hostesses create a comfortable and professional environment for passengers. These women perform a version of femininity whereby they are a friendly, affectionate, reassuring, approachable, helpful, polite, and glamorous aid to passengers’ journeys. A lot has changed, therefore, in the fifty-eight years since the Munich Air Disaster. There is a vast range of research being done by geographers into the spaces of air travel, research which can help us better understand the social, cultural, and political experiences of airports and air transportation. The looming threat of terrorism means that geographers have a lot to contribute to understanding ways in which different nations engage with air space. However, it is a testament to the continual improvements to passenger safety being made that today geographers are talking about passenger ‘comfort’ rather threats to their ‘safety’. Adey, P. (2008). “Aeromobilities: Geographies, Subjects and Vision”, Geography Compass, 2(5):1318-1336. Lin, W. (2015). “’Cabin pressure’: designing affective atmospheres in airline travel”, Transactions of the Institute of British Geographers, 40:287-299. This entry was posted in Geography Compass, Transactions of the Institute of British Geographers and tagged Air, Air transport, Airplane, Airport, Gender, Geopolitics, identity, International Relations, Territory, terrorism, travel on February 8, 2016 by k8amongthepigeons. What Does ‘Shared Responsibility’ mean in the Context of the Mérida Agreement? In 2008, the U.S. and Mexican governments established the Mérida Initiative, a bilateral security agreement in which the two countries agreed to ‘share responsibility’ for dismantling organized crime groups based in Mexico and operating in the U.S. In October of this year, the U.S. State Department quietly decided to withhold some of its scheduled aid because of concerns over Mexico’s human rights record. How did this agreement come to pass, and once it was established, why did it take so long for the U.S. government to respond to evidence that Mexican security forces were violating human rights? On the first matter, in a paper recently published in The Geographical Journal, I argue that the notion of ‘shared responsibility’ underpinning the Mérida agreement helped thaw the long-frosty relationship between the two countries. For its part, Mexico has been wary of U.S. motives since the U.S./Mexican War. Mexico lost nearly a third of its territory in the war, so ‘yanqui imperialism’ continues to be seen as a real threat. The U.S.’s fears are more recent, but no less trenchant. On the matter of drugs, for example, the U.S. believes Mexican law enforcement is not a reliable partner because of its history of corruption. The increase in drug-related violence in the early 2000s only complicated the relationship, and in fact prompted a new debate—were Mexico’s drug cartels terrorists, and if so, was Mexico in danger of failing? The notion of ‘shared responsibility’ helped pave the way for cooperation on security issues, generally, and drug trafficking more specifically, by doing three things. First, it clarified the formal position of both governments that Mexico’s drug cartels are criminals—specifically, transnational criminal organizations (TCOs)—instead of terrorists. By casting the problem as transnational, the United State also agreed to accept some responsibility for it. Finally, the agreement reaffirmed Mexican sovereignty by putting Mexico in charge of what Mérida money could be used for. Second, although the Mérida Agreement can be characterized as a ‘paradigm shift’ inasmuch as the two countries now cooperate extensively on security issues—something that would have been unthinkable even a decade ago—it has simultaneously reinforced a militarized status quo in Mexico. By defining ‘shared responsibility’ as an obligation between states, rather than between states and citizens, Mexican militarization can proceed apace, despite the litany of abuses ascribed to it in places such as Juarez, and Tlatlaya, among others) . These abuses came to a symbolic head in October 2014 when 43 students from a rural teachers’ college in Iguala, a small town in Guerrero state, were forcibly abducted and disappeared at the hands of Mexican security forces. When President Obama was asked about the students at a press conference during Mexican President Enrique Peña Nieto’s state visit in early January 2015, he reaffirmed the notion of shared responsibility as between states, noting that the U.S.’s “commitment is to be a friend and supporter of Mexico in its efforts to eliminate the scourge of violence.” It would take another ten months for the U.S. government to reconsider that responsibility. The amount of aid withheld—a few million out of a $4.2 billion bucket—also gives reason for pause going forward. The amount is probably not sufficient to stop state abuses. About the author: Carloyn Gallaher is Associate Professor at the School of International Service, at the American University, Washington DC. She undertakes research in two distinct areas, organised violence by non-state actors, and urban politics. WOLA 2015 In Mexico’s Tlatlaya massacre, soldiers were ordered to ‘take them out’ Press Release. This entry was posted in The Geographical Journal and tagged drug cartels, Geopolitics, Mérida Initiative, Mexico, naming debates, violence on December 2, 2015 by RGS-IBG Managing Editor: Academic Publications. Crowd-Sourced Maps: A Way Forward? 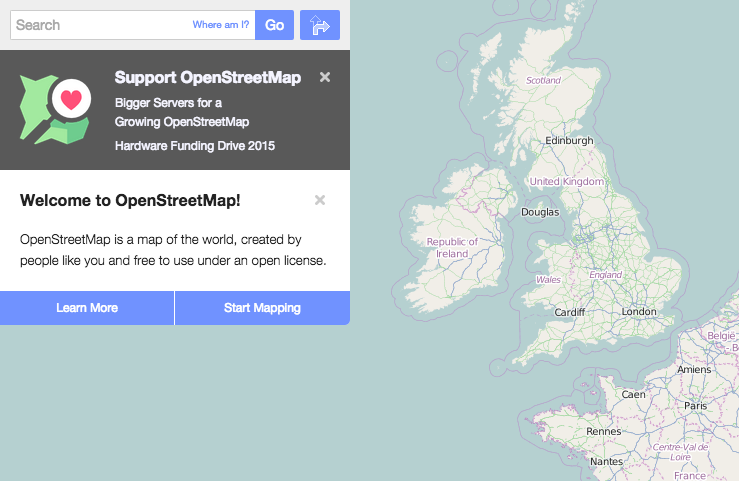 OpenStreetMap is catalysing an open-sourced mapping revolution. In the mobile Internet age, nearly every individual has the capacity to create. Despite the rapid transformation of cartography from analogue to digital, elite to everyman, maps remain biased, nuanced, meaning-laden documents, much as J B Harley and David Woodward first argued in their respective late twentieth century scholarship. Joe Gerlach (University of Oxford) has sought to both connect existing studies of maps with open-sourced cartography, as well as investigate digital, crowd-sourced mapping on its own terms and merits. In ‘Editing worlds: participatory mapping and a minor geopolitics’ (Transactions April 2015) he examined what OpenStreetMap means for cartography as a geopolitical tool in international affairs. According to Gerlach, the Cold War dominated twentieth century geopolitical cartography; he recalled Gearóid Ó’Tuathail’s weaved narrative imagining ‘Halford Mackinder and Henry Kissinger acting out manifold “belligerent dramas” over the spectre of a world map’ (273). This intimate association with realpolitik and its manifestations (war, trauma, Mutually Assured Destruction, colonisation, proxy conflict) might have provided geopolitics with a measure of ‘institutional rigour’ (borrowing from Edoardo Boria) but at the expense of cartography’s legitimacy. Grassroots, open source mapping moves to restore cartography’s geopolitical credentials by distancing itself from the Cold War’s more onerous legacies. Gerlach suggested that a ‘minor’ revolution in cartography is underway. Not minor in size or scale, but rather in its sociological and literary sense: ‘an examination of the non-representational aspects of this representational practice as a way of spotlighting the often unspoken, anticipatory politics of mapping’ (274). Or, in other words, the culture(s) and movement(s) of open-source, grassroots mapping. This is a brave new world, at least from a scholarly standpoint. What does cartographic inclusiveness mean? How does mass-participatory, often non-moderated cartography influence geopolitics at the local, regional, or international levels? By its very nature, such mapping is ‘uncertain and experimental’, outside the bounds of traditional scholarly or political cartographic analysis. At its core, the maps are moved, influenced, and popularised by the crowd; subject to its rational and irrational drifts, pulls, and tendencies. Programmes like OpenStreetMap seek to free the user from restrictions imposed by such official, controlled maps as Ordnance Survey and United States Geological Survey charts. In so doing, users become active authors in cartography and, by extension, the multi-dimensional geographical landscape. In Peru, for instance, a digitally-aware audience has effectively and efficiently subverted the military’s de facto monopoly on maps, identifying, creating, manipulating, and distributing their own cartographies via OpenStreetMap. Through social gatherings, group GPS expeditions, and checking each others’ work, contributors established themselves – however deliberately or accidentally – as a national cartographic force, competition to the military’s own carefully controlled maps. Of greatest importance is the sheer excitement open source mapping brings to cartography. Like Wikipedia of the 2000s, OpenStreetMap is still in its childhood, subject to referee issues, inaccuracies, and end-user problems. Regardless, by providing free-to-use, easily manipulated cartographic tools to the public on desktop and mobile devices, geographic knowledge can reach an audience few twentieth century geographers – and especially those of a Cold War persuasion – could have foreseen. Boria E (2008) Geopolitical maps: a sketch history of a neglected trend in cartography Geopolitics 13 278-308. Ó’Tuathail G, Dalby S and Routledge P eds (2006) The geopolitics reader 2nd edn Routledge, London 237-54. This entry was posted in Content Alert, Transactions of the Institute of British Geographers and tagged Benjamin Sacks, cold war, Crowd-sourcing, Edoardo Boria, Gearóid Ó'Tuathail, Geopolitics, Joe Gerlach, Open-Source, openstreetmap, participatory, realpolitik, Wikipedia on June 17, 2015 by Benjamin Sacks. The battle for the Chagos Islands: who counts? In June this year the High Court ruled that the UK government’s decision to create a marine park around the Chagos Islands in the Indian Ocean had been lawful. This marked the end of a three year long struggle for the indigenous Chagossian islanders, who had argued that the 2010 designation of the archipelago as a protected marine reserve robbed them of their fishing-centred livelihoods and effectively prevented them from ever returning to their ancestral lands. At 545,000 square miles, the Chagos marine park is the largest in the world, claiming to protect an area as rich in biodiversity as the Galapagos Islands. In the absence of any further barriers to its designation, the new reserve will now be expected to live up to its promise of slowing the rate of regional biodiversity loss in the Indian Ocean and replenishing its fish stocks. The media coverage of this legal struggle has shed light on the continuing influence of the archipelago’s colonial history on its present fate and that of its islanders. In 1965 the British expelled the Chagossians in order to allow the Americans to build an airbase on the main island, Diego Garcia, and also deterritorializing the islands from the Mauritian state. This act prompted an extensive legal battle for the Chagossians to try to secure their right to return, with challenges in the British and international courts both from the islanders themselves and the government of Mauritius. The recent decision to create the marine park has been interpreted as a continuation of the British colonial claim to the islands (which are still designated as part of the British Indian Ocean Territory), with the clear intent of preventing the return of the Chagossians to the archipelago and to their previous way of life. There are strong parallels between the story of the Chagos islands and the account offered by Emma Norman in a recent article in Area on the governance of the activities of indigenous fishing communities in Boundary Bay, North America. Norman describes a process of what she calls ‘ecocolonisation’, whereby indigenous communities suffer the consequences of the seizure and degradation of their lands by an outside force. She sees this ecocolonisation as occurring in three main ways, all of which also resonate with the story of the Chagossians. Her first mode of ecocolonisation is through the containing of land and sea into different political regimes. In Norman’s account this is exemplified by how differently the activities of indigenous communities on the Canadian side of Boundary Bay have been governed, compared to those living the south of the bay which is governed by United States. Similarly, the territorialization of the Chagos Islands as a British Indian Ocean Territory and relatedly as a US military base has had direct and devastating effects on the landscape and people’s of the Islands, by designating who had rights to make decisions about the appropriate uses of land and sea. These territorial boundaries has been actively contested through the legal battles of the Chagossians and the government of Mauritius. The second form of ecocolonisation which Norman describes is the effects of pollution inputs which come from outside of the territory. 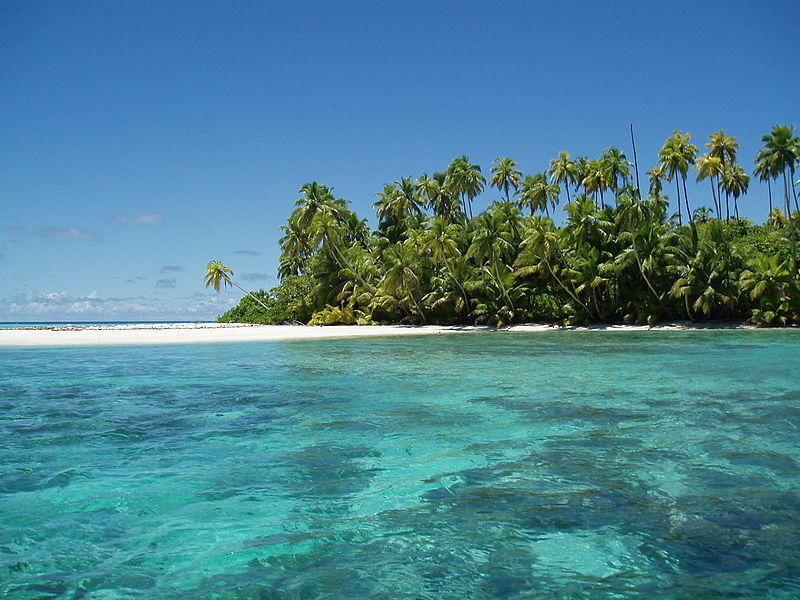 Again, such debates are clearly alive around the creation of the Chagos marine park, as the degradation of this environment has been described as a problem of broader pollution and overfishing throughout the Indian Ocean. The most central element of Emma Norman’s account of Boundary Bay, is the third mode of ecocolonisation that she describes; a process she feels has been left out of many accounts of the governance of indigenous communities, and something which helps us to understand the more subtle negotiations and practices which are at play, beyond the narrative of colonial greed. This process is what Norman calls the politics of calculation. A focus on the politics of calculation forces us not only to think about who counts in the sense of whose perspectives are sought and whose welfare is valued, but also to think literally about who is doing the counting in these processes. Norman argues that the technologies and methods with which governments and administrative bodies measure pollution, assess biodiversity and designate certain territories and species as threatened, all carry with them certain kinds of rationalities which themselves have political effects. In this case the technologies and rationalities used by the British government and by conservation bodies such as the IUCN, designating the Chagos islands as in need of environmental protection, are very different rationalities from those which govern the (relatively low impact) activities of the Chagossians themselves. Norman would argue that the political effects of these instruments are central to understanding the story of the Chagossians and how the British high court was able to justify its decision to uphold the creation of this marine park. This politics of calculation is what sets the Chagos Archipelago apart from the other inhabited islands in the Indian Ocean as an area of rich biodiversity which must be protected. It is also what foists the responsibility for replenishing the Indian Ocean’s fish stocks onto the beleaguered Chagossians and decentres the gaze from the polluting activities of sea-faring industries and the American military. This entry was posted in Uncategorized and tagged biodiversity, calculation, colonialism, environment, Environment and Society, Geopolitics, Global Issues, indigenous communities, marine biodiversity, postcolonialism on July 26, 2013 by helenpallett.